Database Management Systems or DBMS have been in use for more than forty years, but only in recent times, the tested and tried systems are facing a significant challenge posed by Big Data. Lots of discussions are doing the rounds about the need to look at alternative models of data processing and management as the quantum of data keeps increasing by leaps and bounds. The buzz around NoSQL and Hadoop is the result of such debate that has left users guessing. While larger enterprise could be attracted to such discussion as it might make some sense for them, for Small and Medium Businesses, (SMBs) the traditional relational databases like MySQL remains the best choice. The skills of SQL have become quite popular, and the systems have proved to be highly secure, which makes it more acceptable to people. The success of a business depends mainly on the selection of the right database. How well the product will perform depends on the choice of database, and there is a correlation between customer satisfaction and the database of the product. However, there is no doubt that SQL database (known as MySQL for the Oracle database) can positively impact not only the product but also the business. 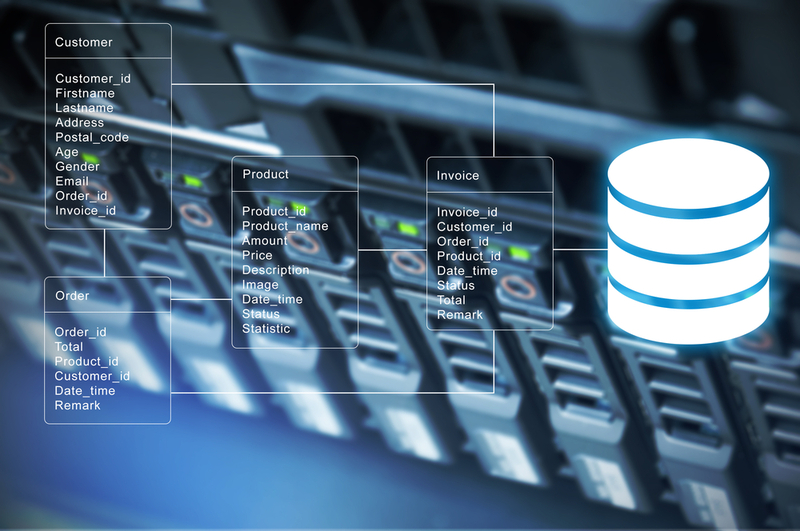 In this article, we will look at the various aspects of SQL databases that could help in better understanding about the working of relational databases. Databases are warehouses for storing data, and its structure is such that allows a secure storage and quick retrieval of data.The relational database, instead of storing information as one long text file, stores data in the form of tables consisting of rows and columns. The term ‘relation’ in the context of the table refers to the rows, which are a collection of the same type of objects. The columns in the table represent the fields, and the rows accommodate the records. Data arrangement in the form of columns and rows makes it easy to locate data when you are comparing it. Based on the uniform structure, and taking advantage of it, the relational database model can create new tables by extracting information from the existing table. The database uses the relationship between similar data to increase the versatility and speed of the database. For using relational databases, you have to learn the language SQL (Structured Query Language) which is the standard computer language for operating databases. All the popular database applications available today, from Oracle to Informix and from PosGress to MySQL and Access use SQL as the foundation of the databases. SQL is a domain specific language that is used for managing relational databases and capable of performing varying operations on the data stored in the database. · Data Integration Scripts – Developers and database administrators use SQL to write data integration scripts, which is the main application of the language. · Analytical Queries – An expert like the data analyst would use the structured query language for setting analytical queries and running it regularly. · Information retrieval– It is often required to recover the subsets of data within the database for analytics applications and transaction processing. At such times, it is a prevalent practice to use SQL. Insert, select, update, add, truncate, create, delete and alter are some commonly used SQL elements. In addition to the above, there are some other applications of SQL. SQL is also used for modifying the database table and the index structures. By using the language, you can update, add and delete rows of data. Why should you use SQL? · Use of SQL does not involve codes that make it very easy to manage databases without the need for writing codes. · SQL databases adhere to well-defined standards like the ones used by ANSI and ISO. However, there are no standards applicable for non-SQL databases. · SQL is very versatile, and you can use the language for programming in personal computers, laptops, servers and even mobile phones (some models and not all). · It is a highly interactive language and being domain based you can use it for communication with the databases to seek answers to the complicated questions in just a few seconds. · You can display different views of the database by using SQL that may be required for meeting the needs of different users. In addition to the above, there are some more reasons for choosing SQL. It is available as open source, which means the databases cost very little and has the backing of vast communities of users. The significant players offering database management systems like Oracle, Microsoft, and IBM, use SQL. Moreover, you can use it for three-tiered internet architecture that includes a database, application, and client. The power of SQL is such that even NoSQL systems are adding SQL query tools to increase its effectiveness.